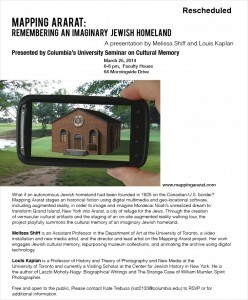 Professors Marianne Hirsch and Andreas Huyssen have invited us to lecture about Mapping Ararat at one of the most prestigious university seminars in North America: the Columbia University Seminar on Cultural Memory. 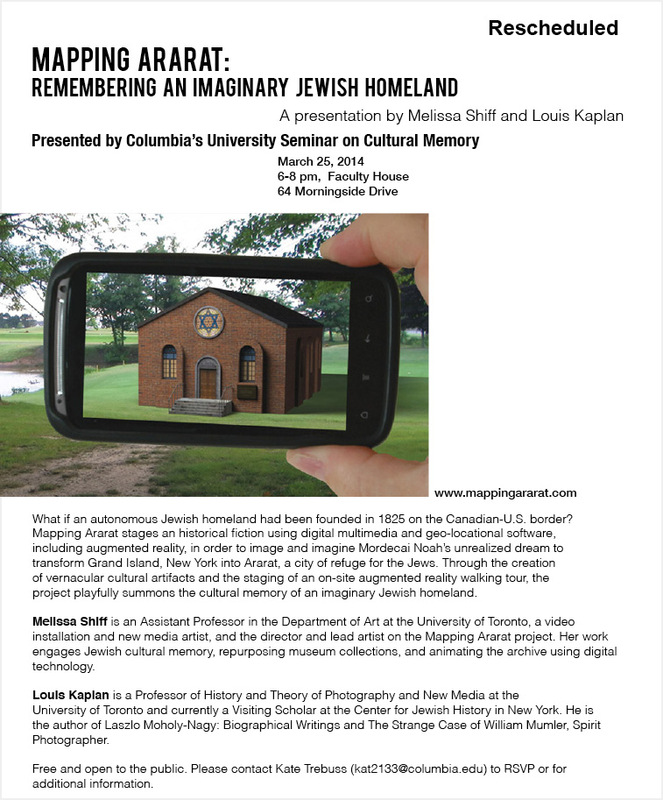 The lecture will take place at the Faculty House on March 25, 2014 from 6-8pm and is open to the public. 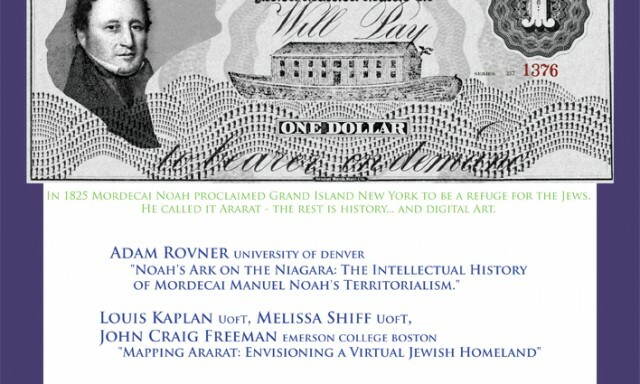 We will give a 45 minute presentation following by a screening of Mapping Ararat: Globally Positioned Sites and this will be followed by a one hour discussion period. 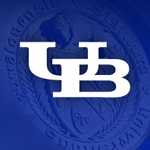 Click here to read the Columbia University event listing.